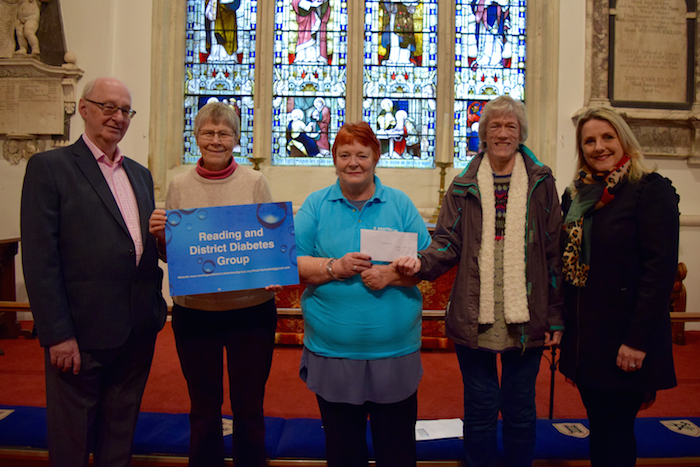 The annual Henley Choir Festival celebrated a decade of success last week when they donated £1700 to Diabetes UK. The superb sum, presented to the Reading and District Diabetes Group by festival organisers, Liz Hodgkin and David Butler, was raised by the charity concert held on 26 January. Sponsored by Davis Tate, the tenth Choir Festival saw seven local choirs join voices at St Mary’s Church for an evening of Handel’s Messiah, all in aid of the Reading Diabetes UK organisation.